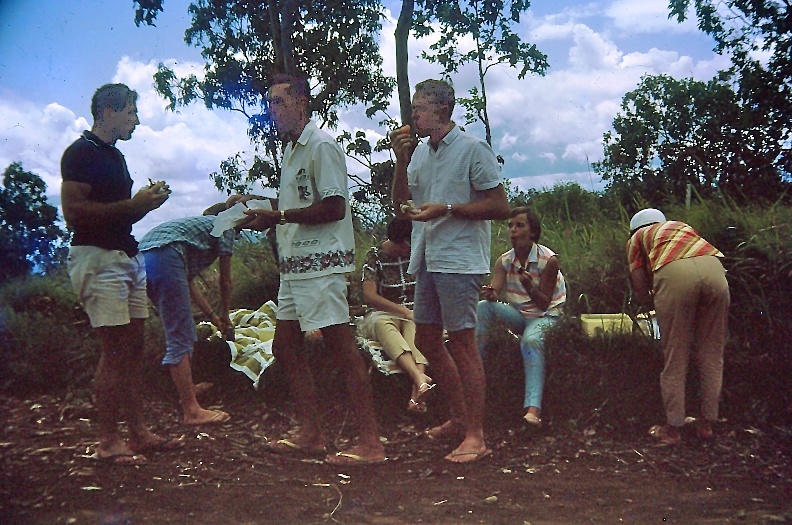 As I have mentioned before, I was working in PNG in the 60's when it was a territory of Australia. 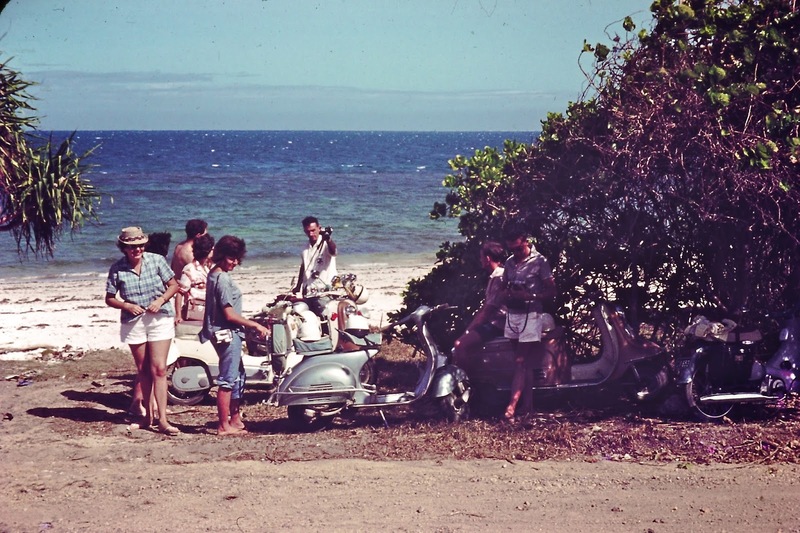 On Sundays my friends and I would go for a scooter excursion usually including a picnic and a swim. 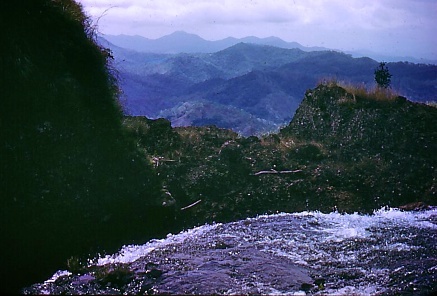 It is always hot and humid in Pt Moresby as PNG is a tropical country. 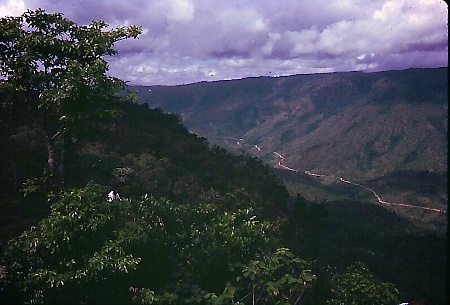 It was cooler in the mountains and we often drove into the foothills of the Owen Stanley Mountains which snake through the middle of the island longways making like the backbone of a huge animal. Once again we took the road up to the village of Sogeri and stopped at the market for some fresh fruit. 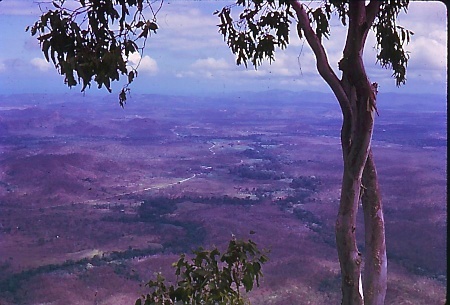 We climbed further up the mountain and turned back towards Pt Moresby on a rough road which followed the ridge. It was called Hombrom's Bluff. Looking towards Moresby in the distance we could see the road we had come along. It was a breathtaking view. I turned to look in the opposite direction where we could see the road going up to Sogeri where we had just been. 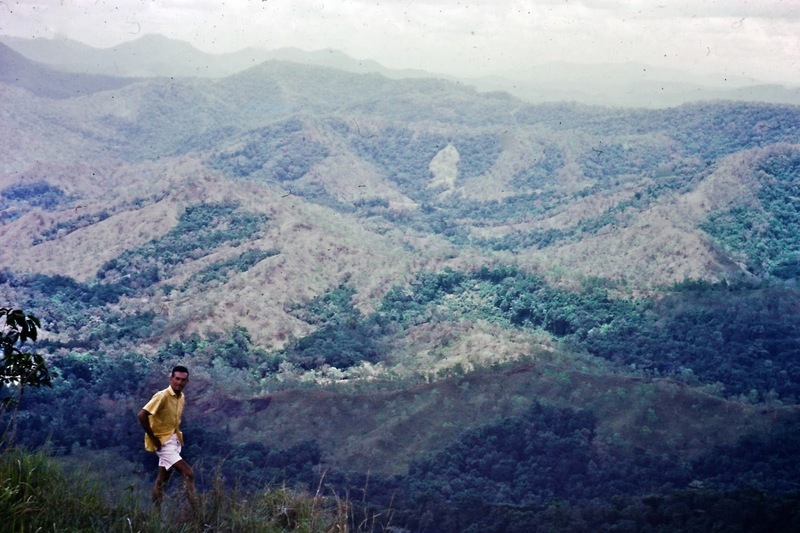 The mountains were covered in dense jungle. I often thought of how hard it must have been for our soldiers fighting the Japanese along the Kokoda Track during WW11. It must have been awful. Sitting on the ridge overlooking the world below us. From L to R Bob, Graham, me, Pam behind me then there is Elwyn and Del. 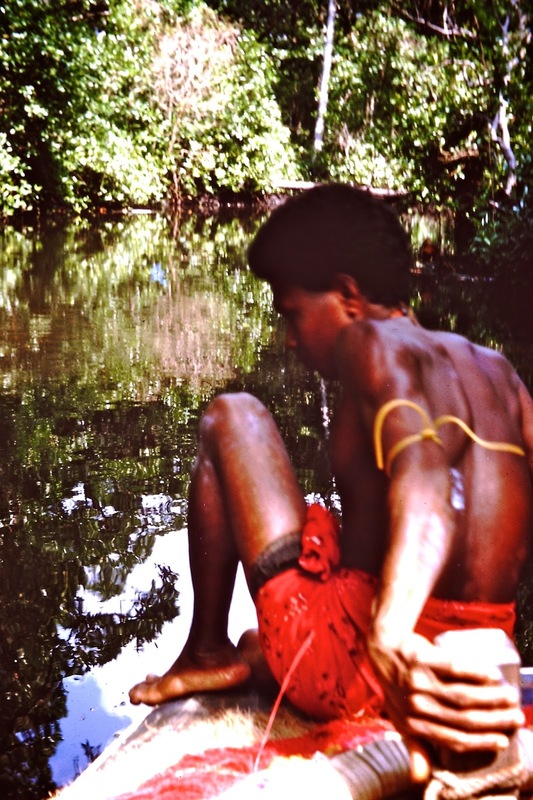 Del lives not far from me now and she enjoys reading these stories of our time n PNG. 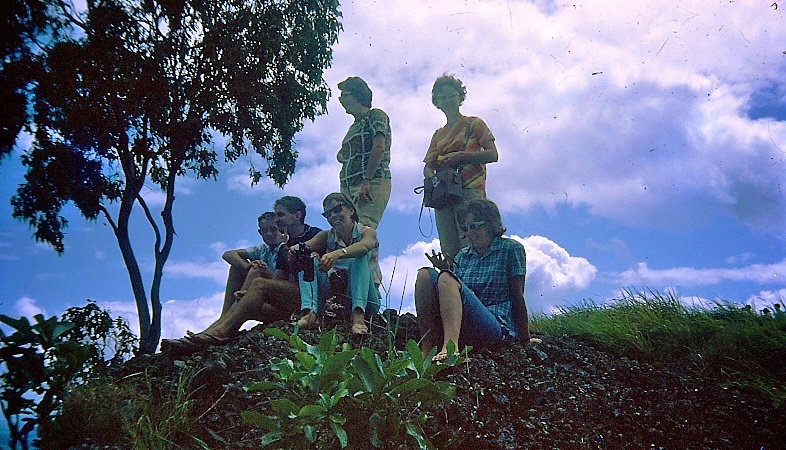 L to R Graham, Del, Charles, Pam, Bob, me, Elwyn. Everyone helped with the lunch but the boys usually made a BBQ. I have the blue pants and striped shirt. Soon it was time to descend to the floor of the valley. 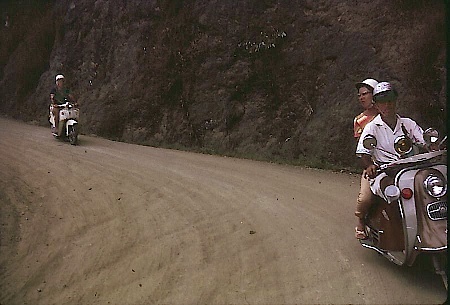 My scooter must have been out of action as I was the pillion passenger and turned around to take this shot of Charles, Elwyn and Graham. We stopped at the reservoir. My new found friends, Elwyn (left) and Del (right). I lost contact with them after a few years and never heard of them again until in 2008 when I was found on the internet. Since then we have had yearly reunions but we haven't found everyone yet. Elwyn, Pam and Bob haven't been found. BEING SILLY, BREAKING RULES BUT IT WAS FUN. We are often upset with youths of today being irresponsible and doing dangerous things, but when we were young, didn't we sometimes be silly and break the rules to have some fun? Maybe you didn't but I'm afraid I did sometimes. Here is one of those times. 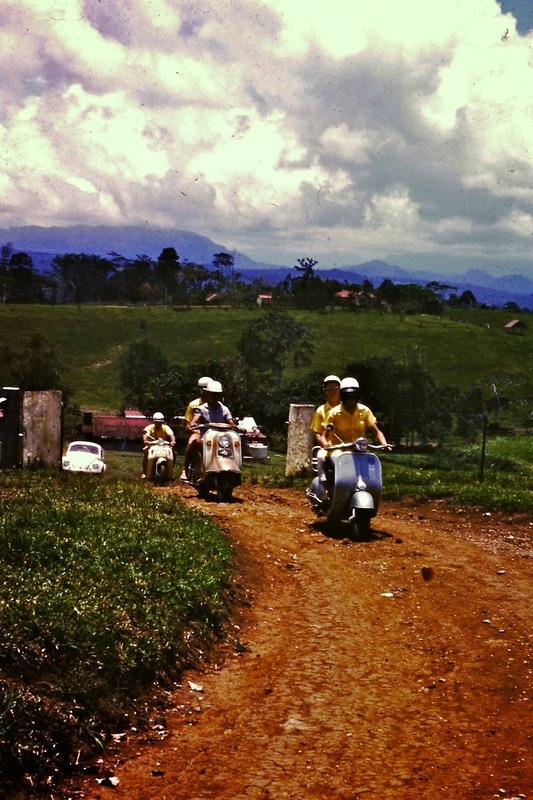 In 1964 when I was working in PNG, I belonged to a scooter club, Every Sunday we would go on a ride somewhere different for a picnic.We thought it would be nice if we all wore yellow shirts. We couldn't find any in the stores so we bought white ones and dyed them. Not a good idea but that is another story for another post. This day we went on a trip to Bisianumu. From memory it was the name of a cattle property up in the foothills of the Owen Stanley Mountains. 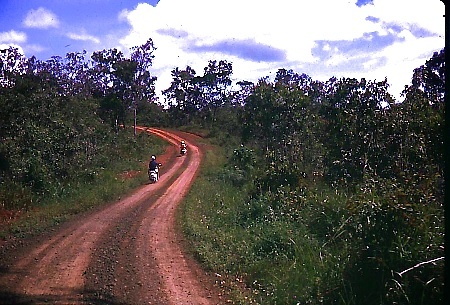 We left Pt Moresby and scootered up the gravel road to Roana where we stopped at the hotel and had some refreshments. I don't remember any other buildings in Roana, it was a good place to go for a drive and a drink. On this day we were going further up the range. We stopped at the next village, Sogeri. Here there was a native market full of fresh cheap produce. We bought fruit to go with our lunch. The road got more narrow as we climbed even further up the range. We finally came to the cattle property. 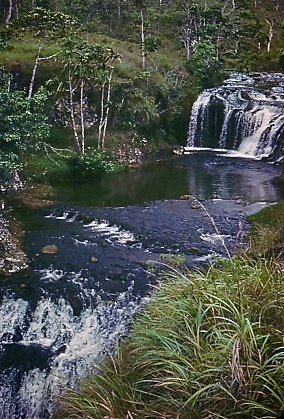 We had previously rung and asked for permission to enter the property to reach the waterfall and swimming hole. We had to make sure we closed the gate after us. We had a friend following us in a VW because he didn't own a scooter. Finally after the bumpy road ride we reached our destination. The views were stunning. 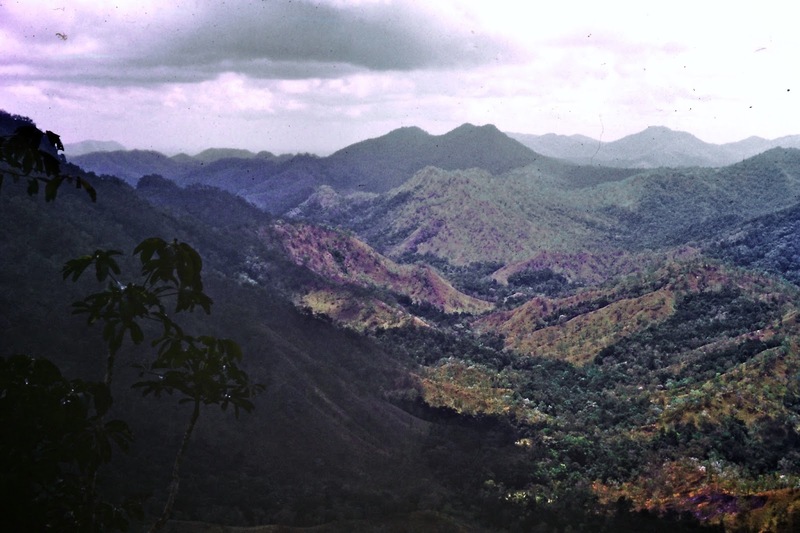 Rugged, jungle clad mountains for as far as we could see. This and the next two photos were a panoramic view from where I was standing. 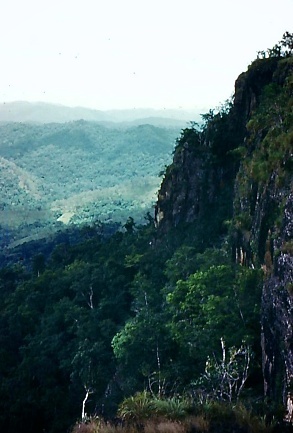 dropping over a cliff to the valley below. 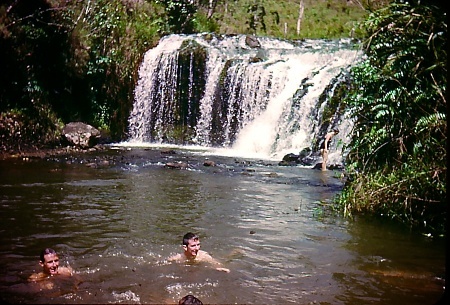 The swimming hole looked so inviting after the hot dusty ride up the mountain but it was freezing cold water. I didn't stay in too long. We had a picnic lunch and a laze in the shade. All to soon it was time to pack up hop on our scooters and roll down the mountain. The boys had another adventure for us before returning home. 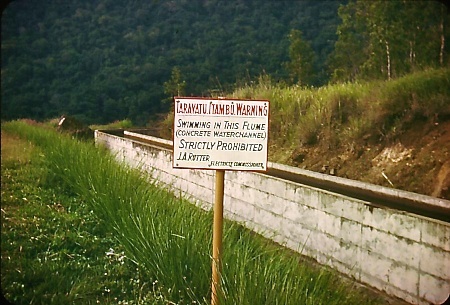 We stopped at the flume. 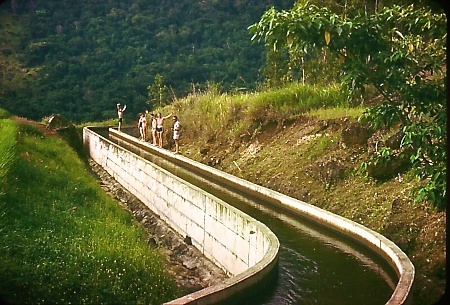 We climbed onto the wall of the flume and started to walk up. I got dizzy from watching the water swirl past on its way to the reservoir, so I stopped and decided to take photos instead. Scaredy cat again. 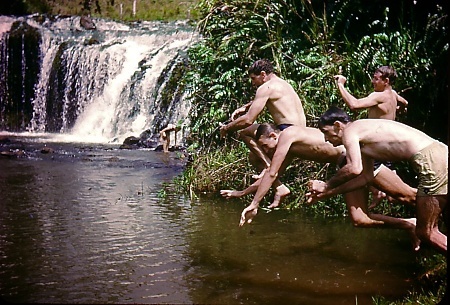 After a while I could hear screams of mirth and laughter and then I saw their heads bobbing down the fast flowing water. They had travelled about 1k, I jumped in for the last few hundred metres. At the end of the flume the water is sucked into a tube which then empties into the reservoir so you have to defy the swiftly flowing water, grab hold of the edge and haul yourself out before you get sucked in to the tube. 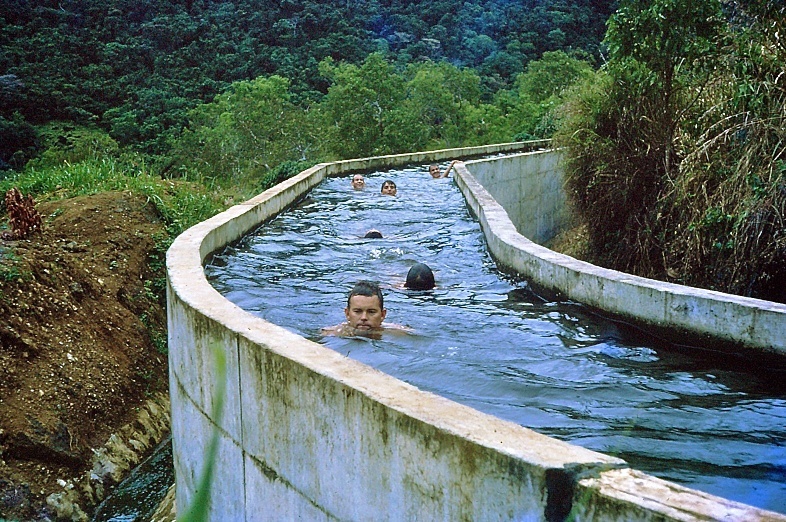 Now, I think that was a bit of a dangerous thing to do, but then when we were young and silly, it was fun getting swept along the flume without having to swim. 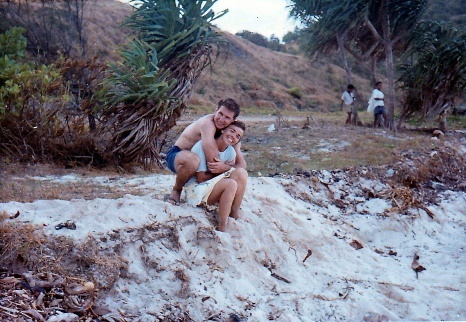 In 1964 I was teaching in Port Moresby, P/NG. I had made a bunch of friends at the Judo Club and on weekends we would go on day trips together. During the week we worked hard and on weekend we played hard. That was the 60's. 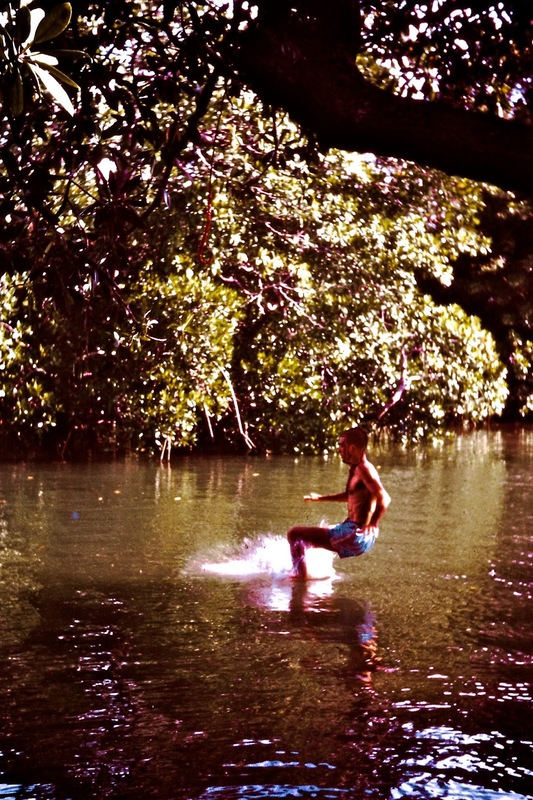 This day we went to Idler's Bay. 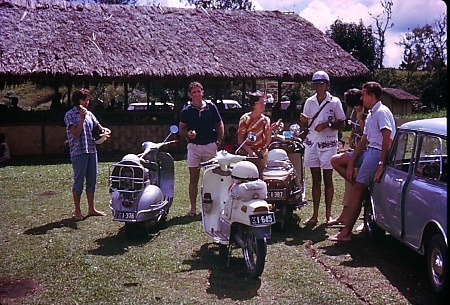 Most of us on our motor scooters but Bob drove his Mini Minor. Everyone arrived and it was time for a swim and wash off the road dust. Charles boils the 'billy' (Oz for a can of water with a handle) for a cup of tea. 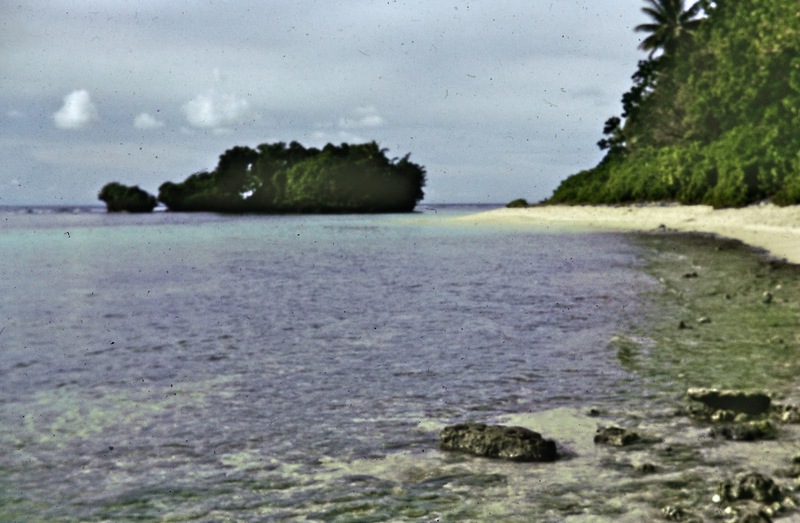 It was a small sandy deserted beach with corals on the bottom of the bay. 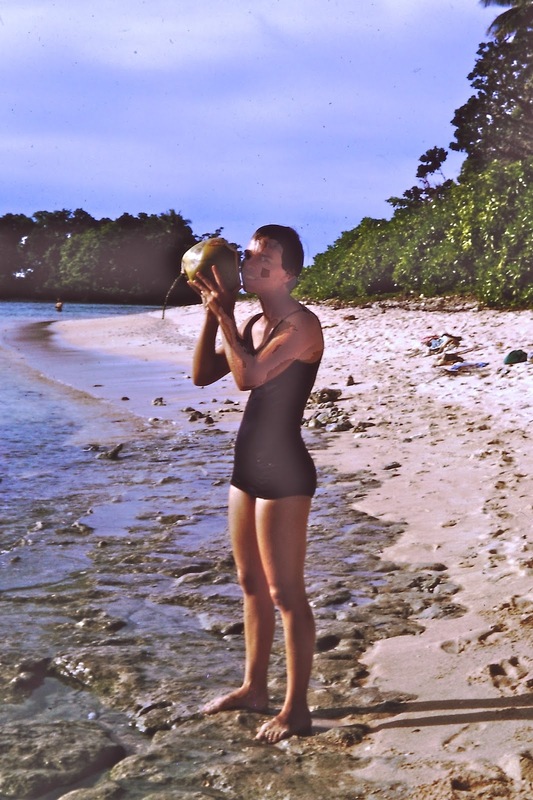 I was sitting there imagining being marooned on a tropical island while Charles was taking a photo of me, when suddenly Graham rushed in behind me and gave me a hug. None of us had romantic relationships we were all just good mates. Before dark we would kick start the scooters and make our way back to town. I had a room in Touaguba Women's Hostel. Sometimes I got homesick for my family and hugged my soft toy dog named "Woof Woof". It was actually a pyjama bag. It had a zip up its tummy where I stuffed my jammies. 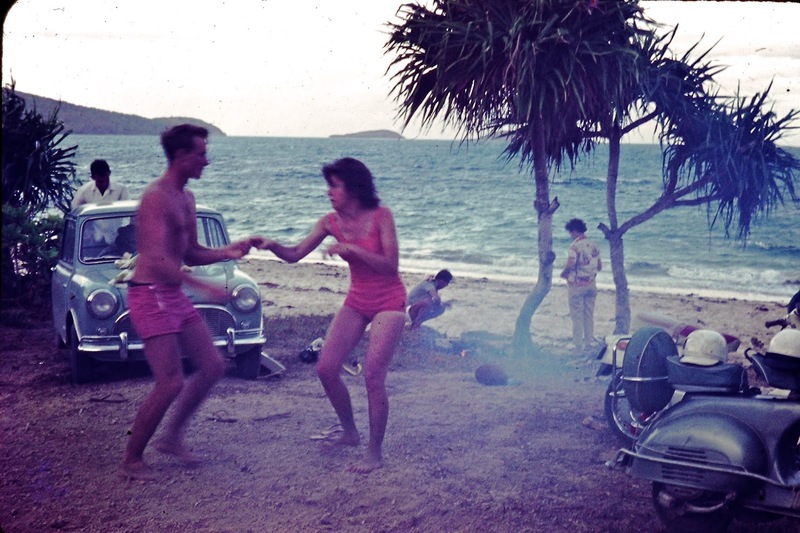 Do you remember pyjama bags, transistor radios and the Beach Boys? Labels: Idler's Bay, My Story, Port Moresby. 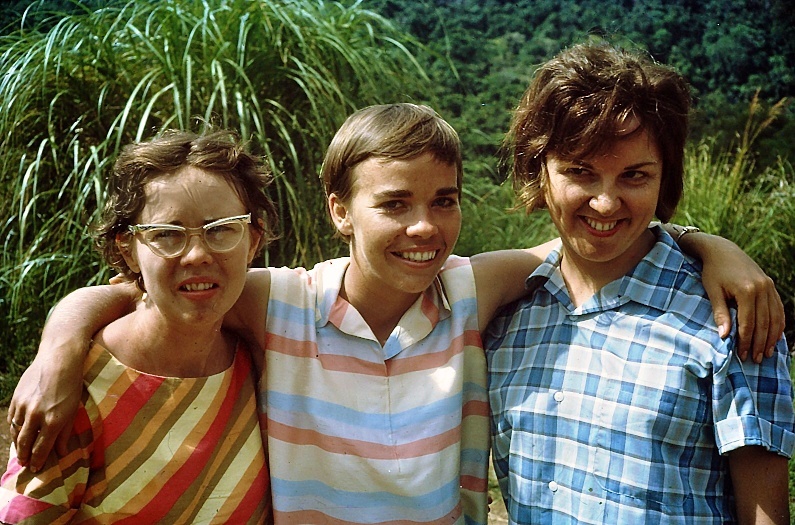 In 1964, after I had been living in Pt Moresby, P/NG for about six months, I had made some nice friends. 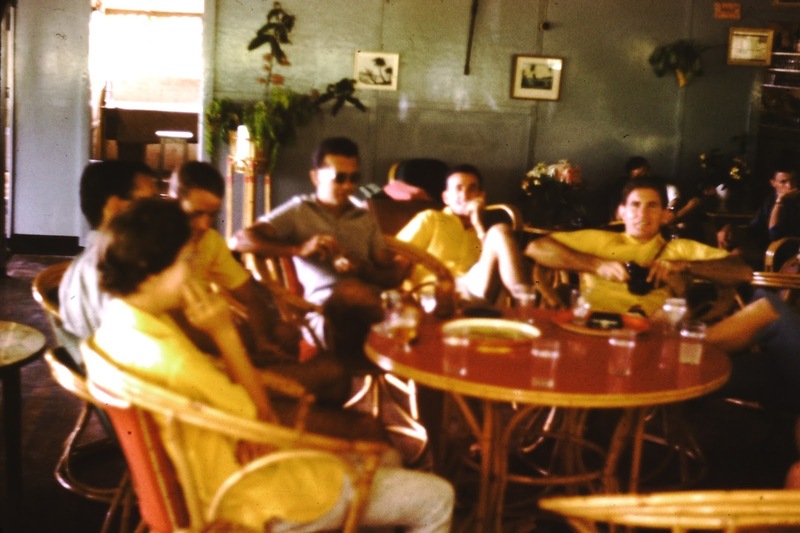 I had met them at the Judo Club and at Touaguba Hostel where I lived. 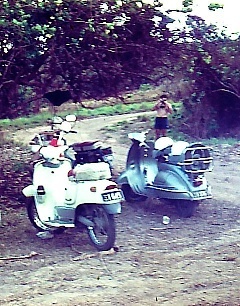 Many of us owned scooters to get around the town. 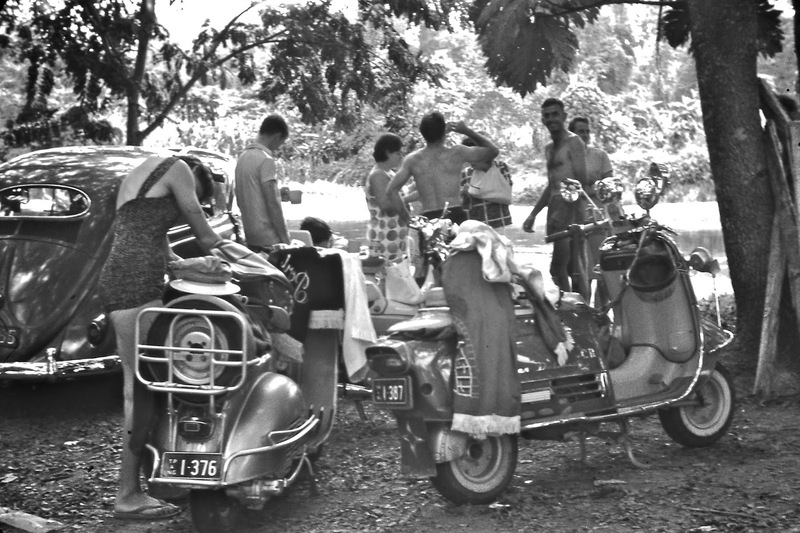 Someone at Judo suggested we should form a Scooter Club and go on outings on the weekends. 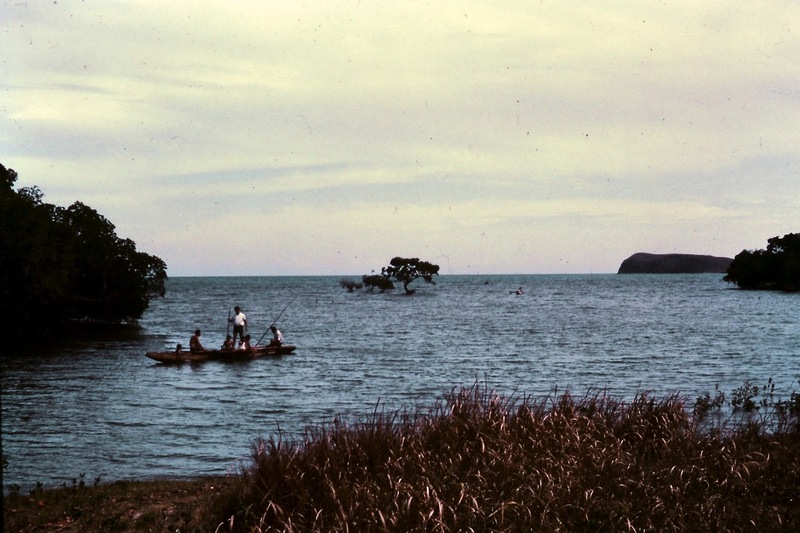 From then on we had some great weekends exploring the beaches, roads and rivers around Pt Moresby. In the next few posts I will be showing you some of the adventures we had. 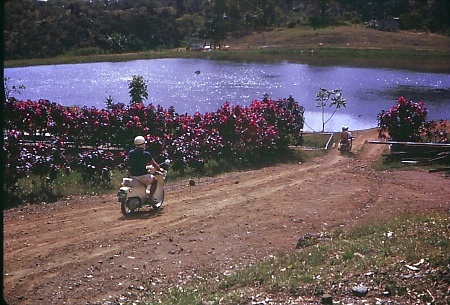 I can't remember the names of the roads or how long it took but we always ended up at a picnic spot somewhere. This is Brown River picnic area and some of my friends. 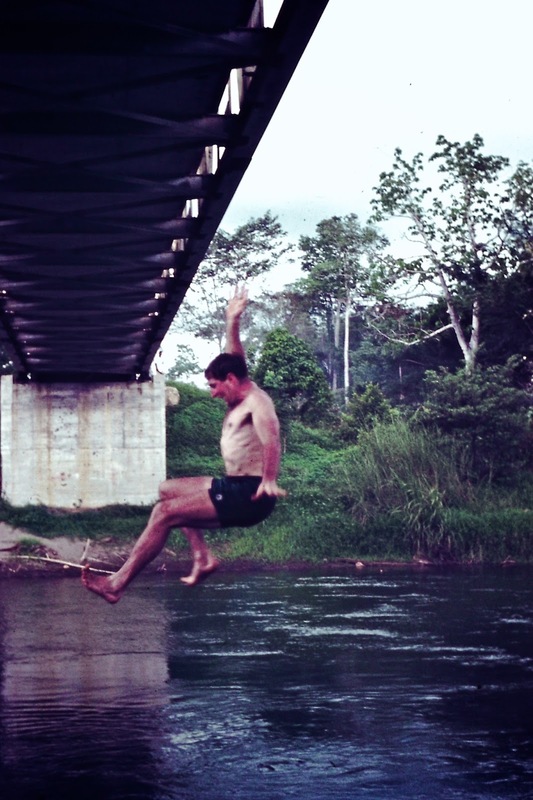 The dare devils like Graham here, swung from a rope attached to the bridge and plunged into the water. I was a scaredy cat and didn't do it. 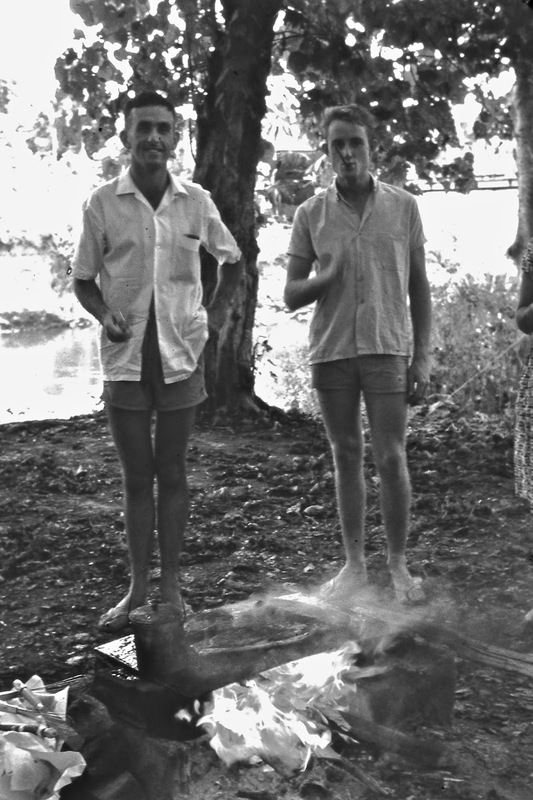 After a swim, Charles and Bob minded the BBQ. After lunch we joined in a game of softball before climbing on our scooters to navigate the corrugated, dirt road back to town. 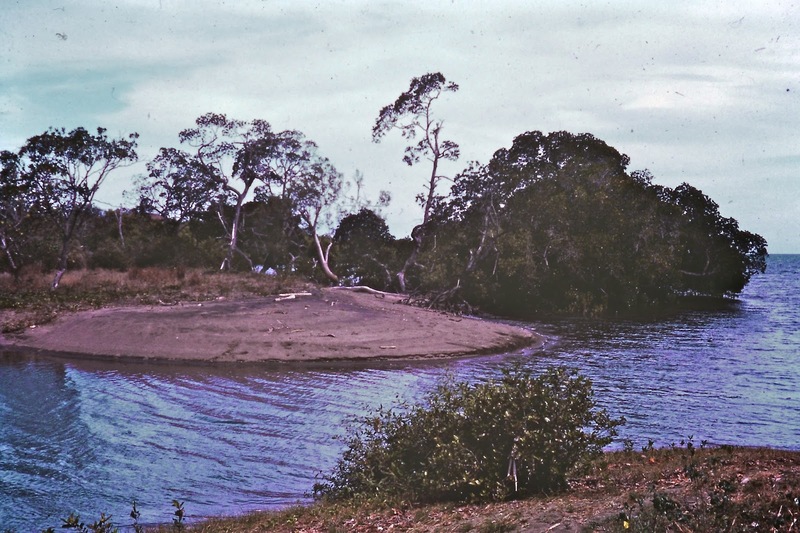 Another time we drove along the coast to Bootless Bay. 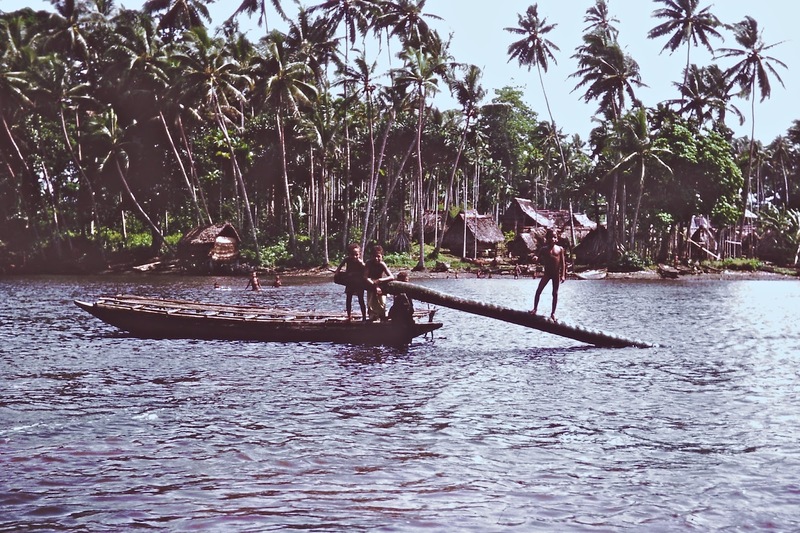 We saw some locals catching their dinner from a dugout canoe. The scenery was pretty where the river entered the bay. Once again the boys found a rope in the trees to swing out into the unknown. Not for me though. No holding back Charles. Another BBQ lunch and fun games before heading home on our scooters in single file stringing along the rough road with our arms vibrating and our teeth chattering. When we got back in town in the evening we would buy fish and chips and go to one of our homes and sit on the floor and enjoy tea together. We were all single so we only had small houses to share or rooms in hostels provided by the government or the companies we worked for. Although it was Bill's Birthday last month our birthday bear group only celebrated now because both he and George have a birthday in the same week. So they take it turns to celebrate a month later. 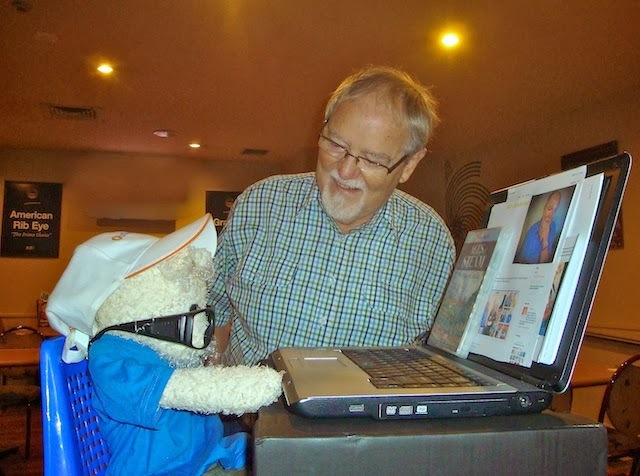 Readers not familiar with our Birthday Bear tradition can find out more here. We celebrated at Sunnybank Hotel, Birthday Bear was dressed by Helen and Paul this time. 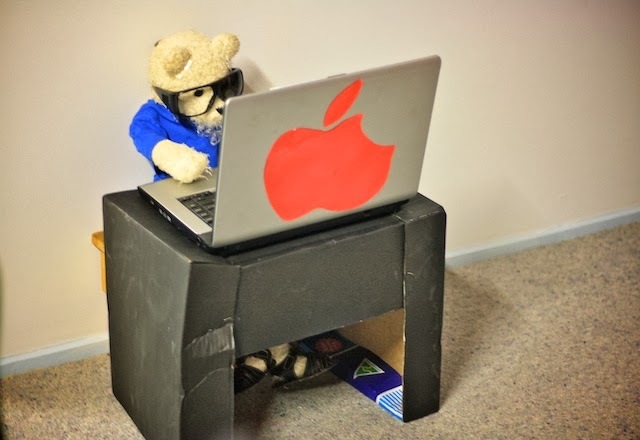 When we arrived there was bear engrossed in his computer. This truly reflects Bill's hobby. He is a computer addict. Even when we go away he has to take his computer or he gets withdrawal symptoms. 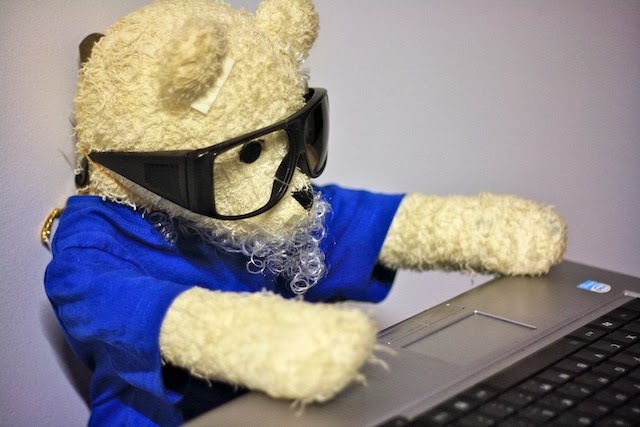 Now Birthday Bear has caught the bug and is looking at a blog on his computer. Bill has also taken a lens out of his glasses since his cataract operation He has to wait a month before he can get new prescription glasses. Bear has got the same problem. Sporting a cap similar to one Bill has, Bear can't be distracted. He also has a DVD on trains to play. Trains are another one of Bill's passions. 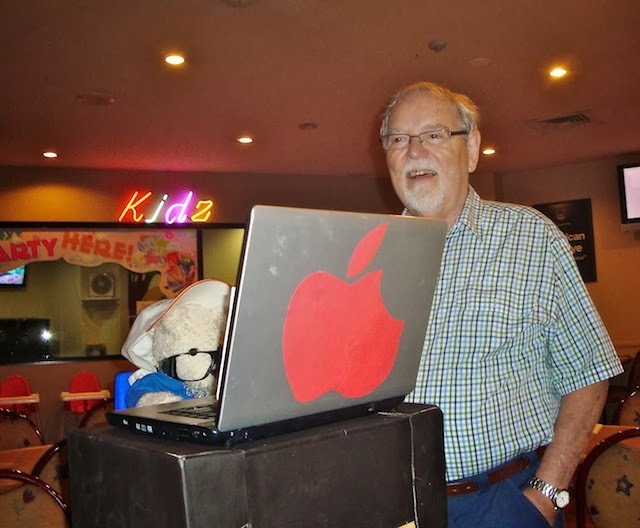 Of course Bear has to have an Apple computer like Bill. Unfortunately our group photo enjoying a delicious lunch didn't turn out well. I had fish but others had steak with a lobster tail. Bear like that one best. After a fun time with our friends we took Bear home. Now Bear is home with us and still I can't get him away from the computer. I like his cute sandals similar to ones Bill wears. Bear has let his white beard grow so he can look similar to his computer buddy. The logo on Bear's shirt is the same as Bill's company shirt. It was 1964 and it was my first year of teaching. 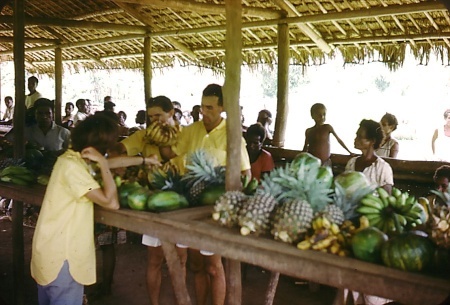 I was teaching at Korobosea School in Pt Moresby, Papua /New Guinea. It was quite exciting having my own class and classroom. I was nervous at the beginning but with support from my colleagues I started to get more confident. I was keen to do the right thing by the children and their parents and I worked hard at it. However, at the end of term it was time to have fun and explore this new country. 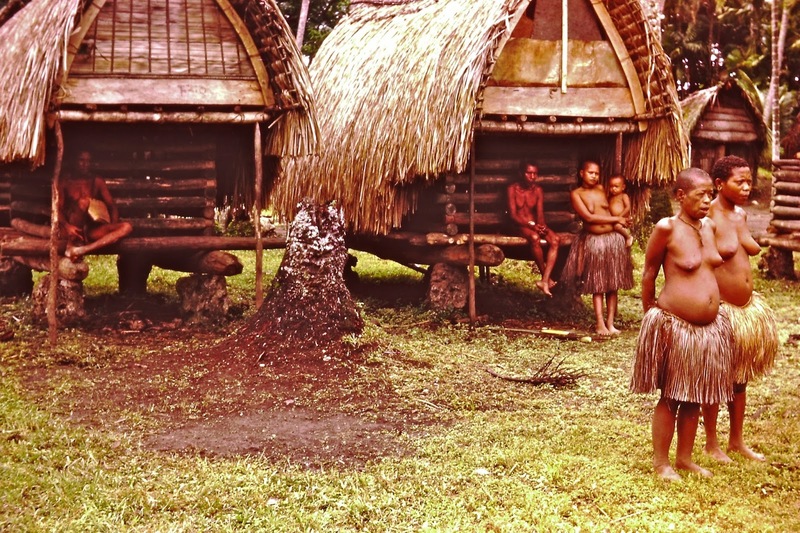 Some friends and I booked up for a day trip by charter aircraft to the Trobriand Islands. 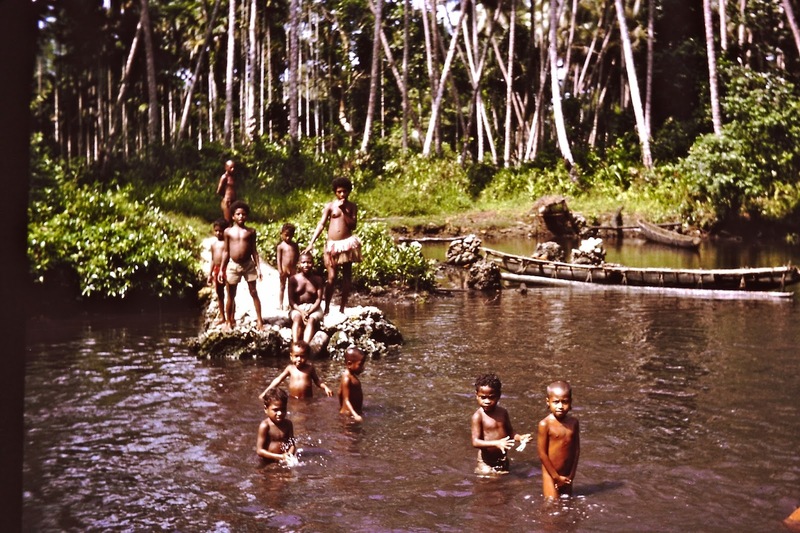 They are a group of tropical islands off the north east coast of PNG in Milne Bay. See map. Early in the morning we arrived at Jackson's Airport and climbed aboard a trusty DC3 aircraft. These airplanes were used a lot in those days in PNG. They were tough old workhorses. Pilots were also very good, they had to be to cope with the towering mountains, the sudden tropical thunderstorms and the hectic turbulence. I was pleased to see that we had proper aircraft seats this time not like the last time I went on a chartered plane ride, where the seats were webbed garden variety chairs along the walls of the fuselage. 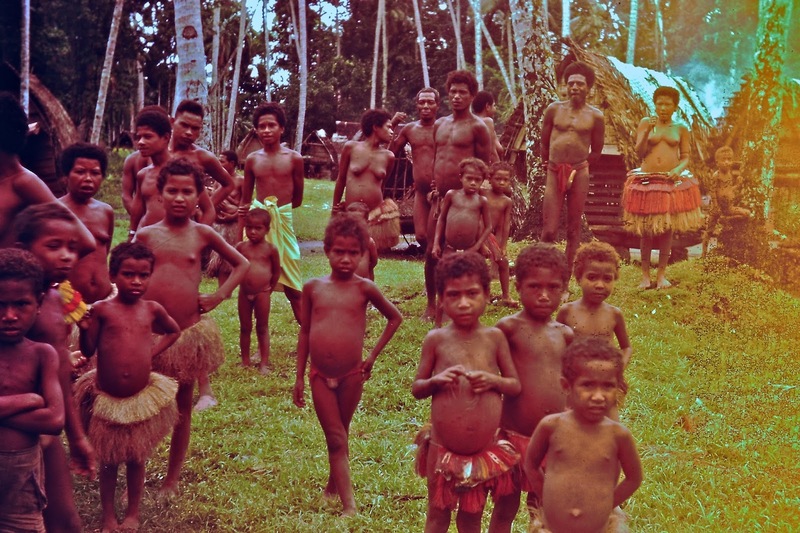 The Trobriand Islands belong to PNG but in the sixties the people were still living like they had for thousands of years in grass huts in villages and feeding themselves from native crops and the sea. The Australian Government were establishing schools, medical clinics, law and order, cooperative plantations and generally helping the people to learn to live in the 20th century. (Whether this was a good idea or not is still debated) Church missionaries were also bringing western style religions. They also built schools and hospitals. It was a fairly smooth flight over the mountains as most morning flights were. We landed and a truck picked us up and took us to visit some villages and beaches. 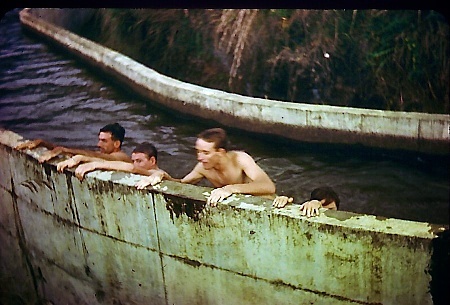 It was extremely hot and humid as it is every day of the year when you are so near to the equator. We had our swim gear with us. 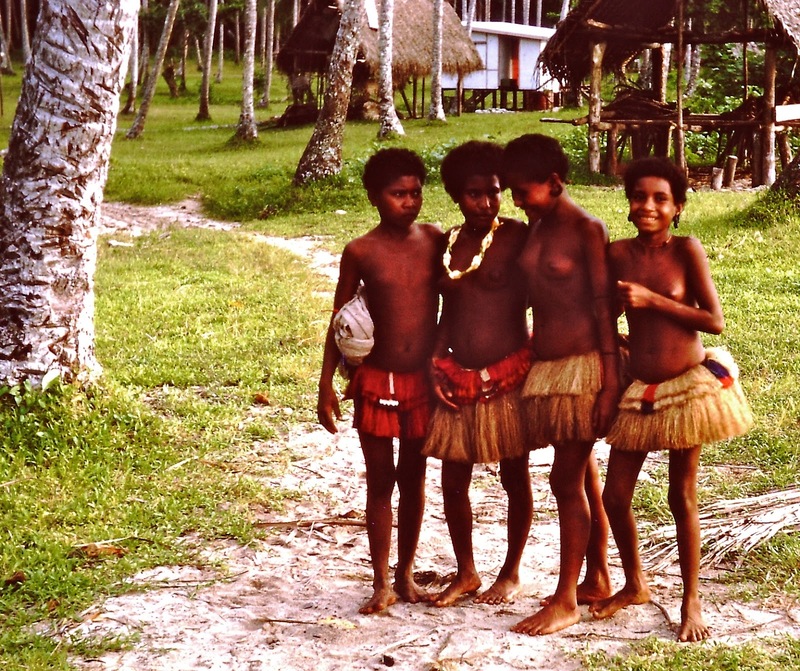 When we arrived in the village many of the locals came to meet us. They came to look at us and we came to look at them. I thought the little ones were cute. 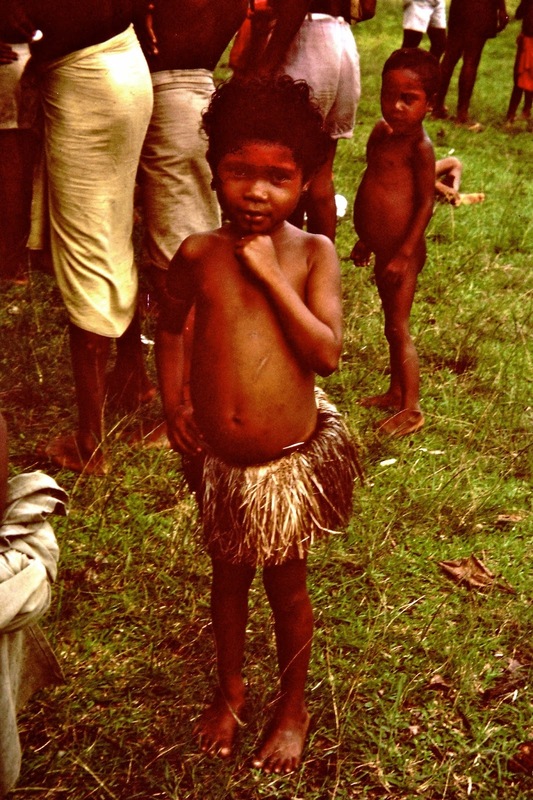 These islanders were known for their beautiful grass skirts and they were a sought after souvenir. The villagers were happy to sell them and other artefacts too. Carvings were also popular. I still have two grass skirts in a cupboard somewhere. 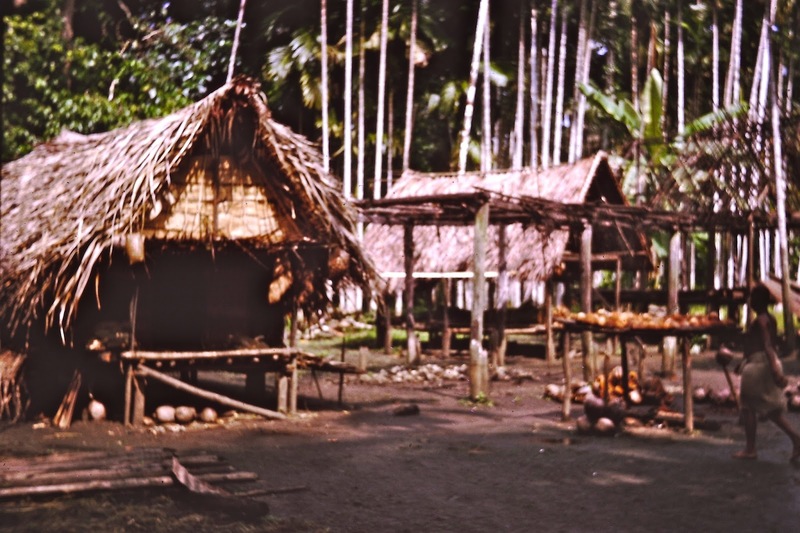 These buildings were storage houses for their produce such as yams, taro and coconuts. 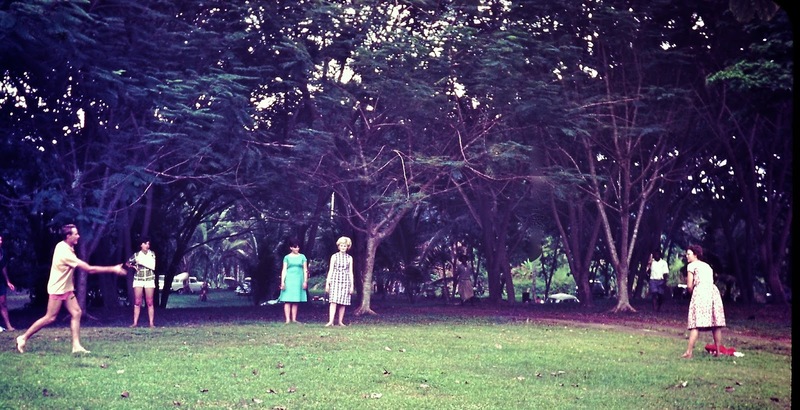 The colour was so bad in this 50 year old slide that I had to take it out altogether. 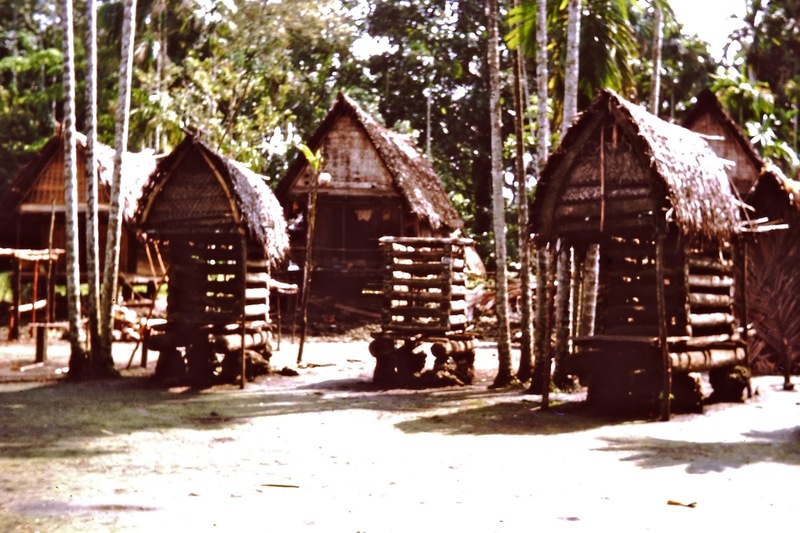 These are the houses where the people lived. After the buying of artefacts we climbed back on our truck and headed for a swim at the beach. These shy teenage girls came to wave goodbye. 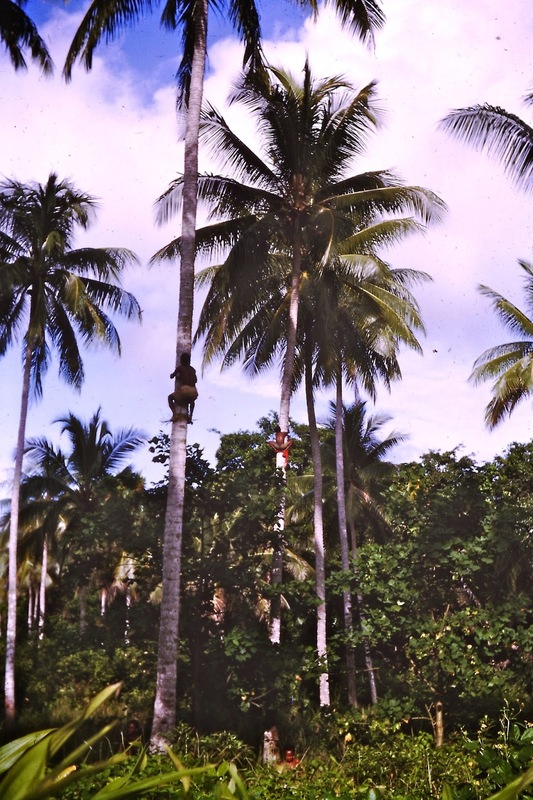 some boys climbing the tallest coconut trees. 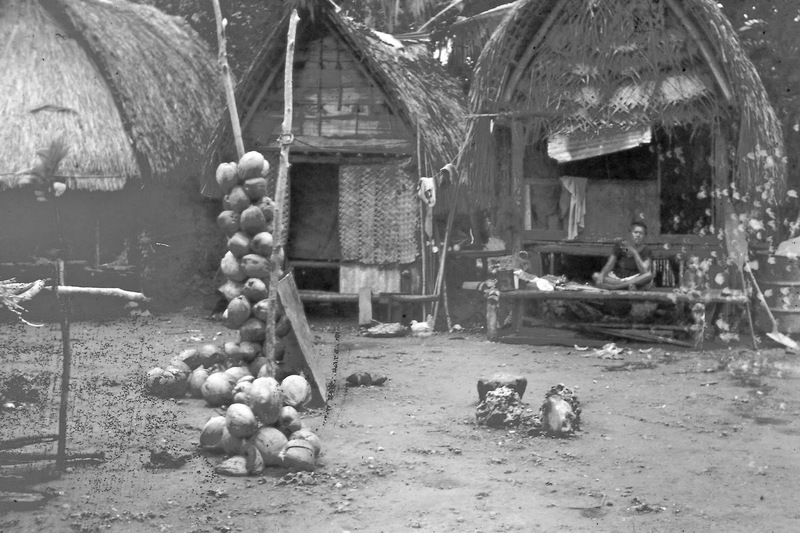 They knocked the coconuts to the ground and another fellow cut the husk off the top with a huge machete . 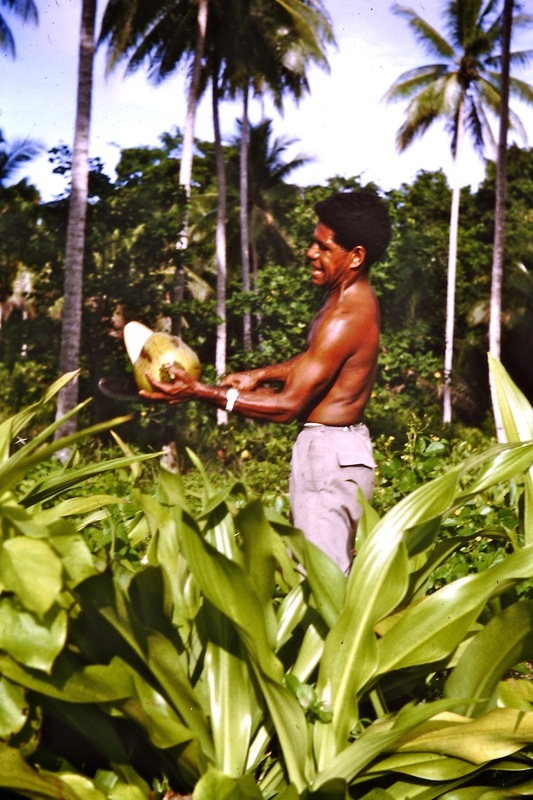 Then holes were punctured into the nut so that we could drink the cool coconut milk. It is great when you are hot and thirsty. After a picnic lunch we were back in the truck to visit another village. In this village we were taken on a canoe ride along the river. It was wobbly and we had to be careful not to tip it over. Once we had all settled it was quite steady. One fellow sat in the front and one paddled at the back. The children waved us goodbye and chased us into the water. 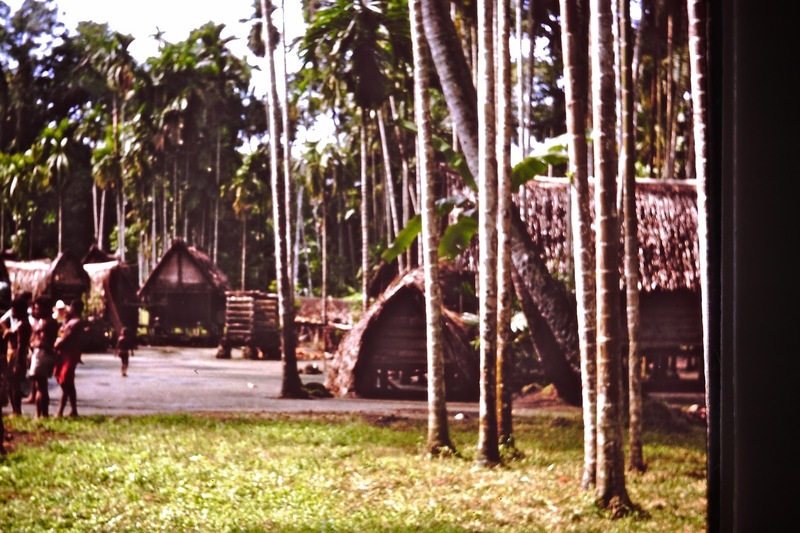 We passed some more villages nestled under the palm trees on the bank of the river. These children were playing on a canoe similar to the one we were on. 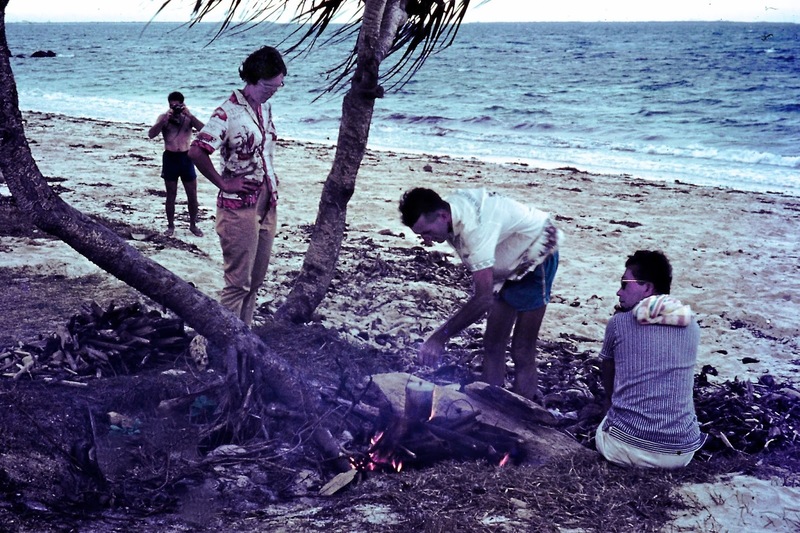 It was if we had travelled back in time to see people living in such a simple, primitive way. All too soon it was time to head back to the airport for the flight back home to Pt Moresby. We were all hot and tired and it was nice to be up in the cooler air until we started to bounce around. In the late afternoon it is a bad time to fly. The afternoon storm clouds gather together over the mountains and the turbulence is bad. As the pilot manoeuvred his way along the valleys between the tall, menacing mountains we hung on tight like on a bucking bronco. Luckily we beat the storms home but I was glad to have my feet on the ground again.